Motorola One attracts with pure Android, nice design and a decent camera. 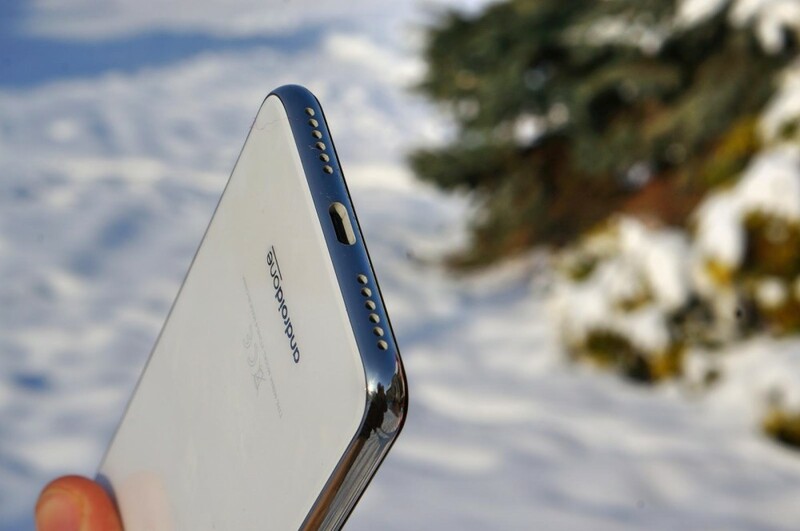 It is a pity, however, that the manufacturer decided to screen 720p and the old processor - Snapdragon 625. 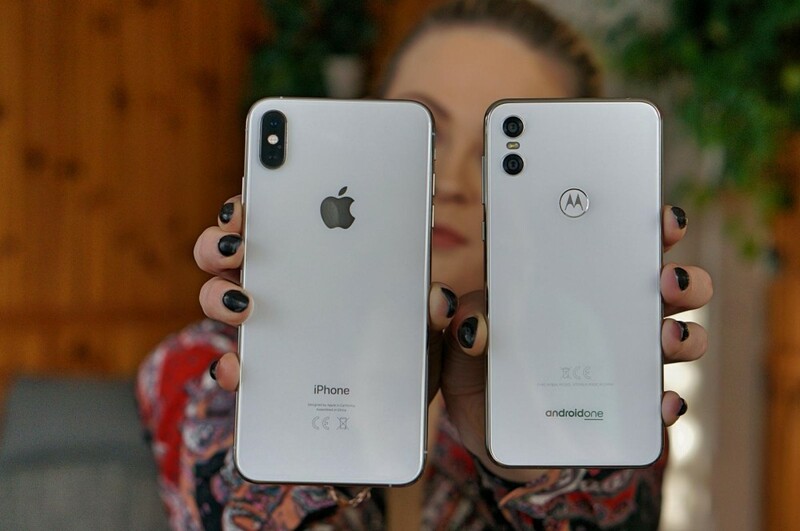 Is Motorola One really a copy of the iPhone X? Something is on. Just look at the photos on which Motorola is accompanied by the XS Max model - the similarity is striking. If the logo placed with a fingerprint tastefully replaced with an apple, an outsider observer would probably qualify the device for Apple's stable without any problems. We have the same choice of colors, frames or arrangement of cameras and illuminating diode. The question arises: is the similarity to the iPhone a problem or a disadvantage? 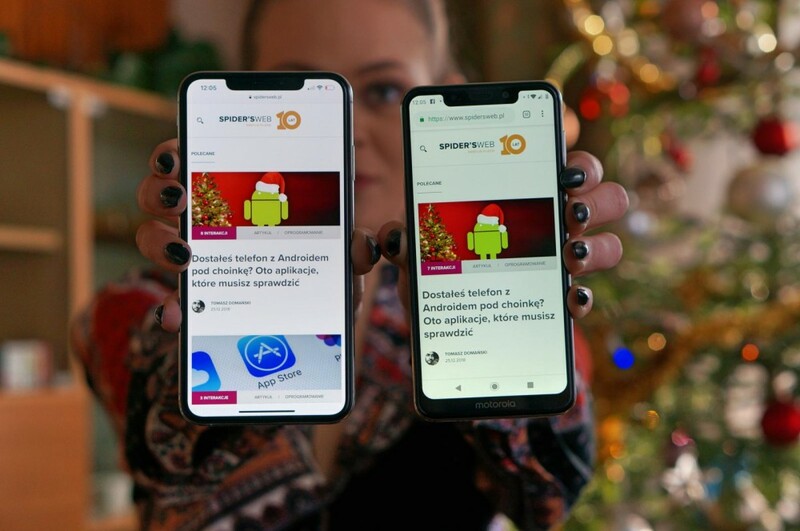 One can complain about the lack of originality of the design, but the owner of Motorola One will not constantly compare it with the iPhone. He will make a purchase, and later he will enjoy the aesthetic appearance and not take over copying the designer's decisions from the producers. The Chinese have been copying Apple for a long time, and Apple himself is not the author of all the innovations he currently attributes (eg notch). You must also be able to copy. In this case, the operation was a success, because I make the phone very high. A silver plastic frame fastens the front glass pane with a rear, plastic, rather slippery casing (great that the manufacturer attaches a transparent case in the box). We have a headphone output in advance (plus how to get to the nearest headphone factory), a double grill at the bottom, concealing an average single speaker and a USB-C connector for charging the phone. The whole is perfectly in the palm of your hand. If only the notch was smaller. 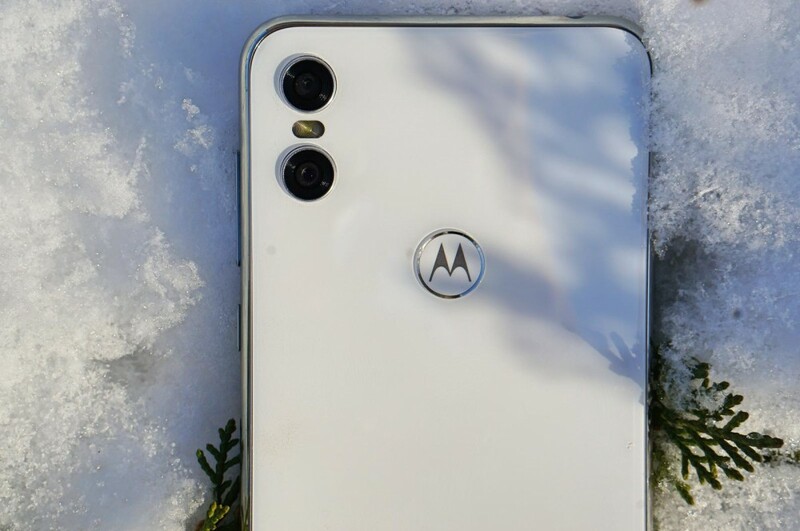 This is my only, quite serious attention to the design of Motorola One. Notch hides only three elements - a speaker for talks, a camera and a diode - and it is obscenely wide. It takes up so much space that only one icon fits in the notification bar! In addition, dots appear on its sides all the time, showing the limits of notch on screen shots. Unfortunately, this hardware drawback can not be turned off by moving the top bar down. There is no option on the menu. Similarly enigmatic seems a prominent chin, used only for the logo. Continuing the litany of complaints - HD screen. I thought it would not be so bad, in the end though the screen is high, it is also quite narrow. Unfortunately, it turned out differently. The resolution of 720x1520 pixels means that the display can contain much less information than the competition with FullHD panels. Such screens are already standard in the segment of around 1 thousand. Golden. A small work surface makes it crumble the overall, very good assessment of the convenience of contacts with a smartphone, because you simply have to scroll the screen more often. The 5.9-inch IPS screen works much better in terms of color reproduction or brightness, but laps in turn when it comes to viewing angles. Briefly about the screen: even at this price should be better. On the occasion of the screen, Motorola stands out with its great use of the Ambient display mode, perfectly replacing the absent diode of notifications. When the phone is blocked and notifications appear on the screen, we can quickly go to their preview. How does it work in practice? After holding the icon of the communicator, we can see a message that we can quickly reply to. In the same way, we can control media by moving the finger towards the next song or pause. Nothing is also an obstacle in the quick transition from the Ambient display to the application. Then, however, we must confirm our identity, eg by applying a finger to the high speed fingerprint scanner. The pleasure of using Android One. The biggest advantage of the new Motorola is the operating system. We have the latest, ninth version of Android on board. At the beginning of January, when I write these words, the phone dates the security changes on November 1. A clean operating system with a guarantee of frequent updates makes using Motorola One very pleasant. The system does not stutter for a moment, although switching between applications is not instant. However, it is the fault of a not very fast processor - Snapdragon 625, which debuted in the middle shelf in February 2016. For now, you can not see that he was particularly short of breath, which probably consists of very good optimization or low resolution, but how he will perform in the future. The challenges for smartphones will be growing, and we do not buy the phone once every few months, but rather for at least 1.5 years. Although Snapdragon is accompanied by 4 GB of RAM and Adreno 506, Motorola should not consider performance fans. And fans of good photos? Why not! There are two lenses on the back. The first one has brightness f / 2.0 and the second one f / 2.4. The first uses a 12-megapixel sensor and the other uses a 2-megapixel sensor. So many technicians, how do the pictures come out? Daily photos look very good. Nice colors and lots of details with good lighting conditions are not uncommon in the mobile world. 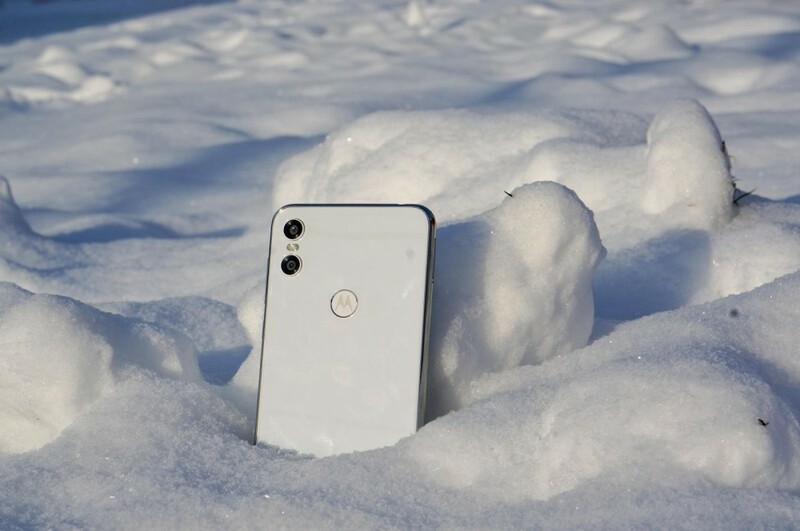 However, Motorola One is distinguished by fast autofocus. In rooms, in the weaker light it is still very good, although there are noises, and the colors (especially in the bottom row) seem a bit washed out. Portrait mode - a nice addition. On the left you can see the photo with the maximum blurring of the background, in the middle with the minimum, and on the right with the standard. As you can see, the first one does not pass the little finger test , which is also blurred. Such imperfections, however, are the daily bread of portrait modes. Motorola One also allows video recording in 4K and 30 fps. This is not yet the quality of flagships, but it is very good, especially when it comes to adjusting the focus to the foreground objects. If we would like to use stabilization (or record in 60 fps) we must of course lower the resolution - to FullHD. 3000 mAh battery, as little as possible, but lasts for 1.5 days. Which probably is due to the great optimization of the system. I was surprised by how well the phone can manage the available energy. On the plus side, I also include fast charging. It takes just over an hour to fill the battery. Motogesty are also great . Shaking the phone turns on the flashlight and turns the camera twice. The month with Motorola was pleasant, but are there no better smartphones on the market? 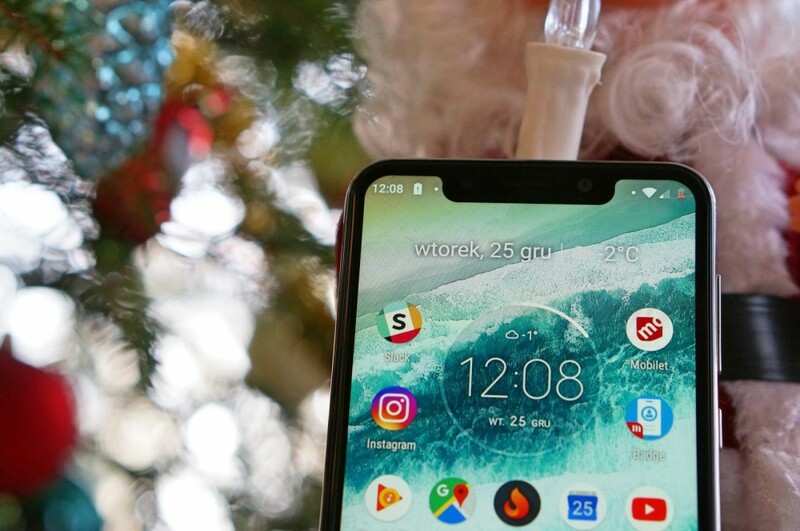 Motorola One has almost everything that I would like from a smartphone, and what does not usually earn the right place in marketing materials. We have a well-functioning GPS, useful NFC and pure Android. The need to fit below one thousand zlotys, however, required far-reaching compromises, visible in a small screen and an average processor. You can get used to them and even forget about limitations (just like about notch). I see this after my example, but when competitors offer more, it is difficult to walk past them with a shrug. We are talking here about Xiaomi Mi A2, which in Poland can already be bought below PLN 900 (4/64). It also works on pure Android, and at the same time offers a brighter camera, faster processor or a screen with higher resolution. 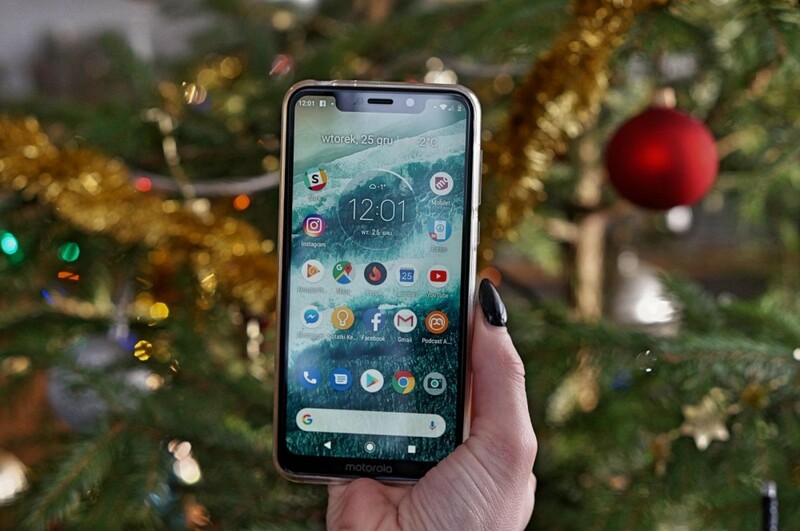 The answer to the question "Who is Motorola One for?" Also does not facilitate the producer himself. In his offer, we can find a very good Motorola Moto G6 Plus at a similar price. It matches the Chinese competitor in almost every category except price. 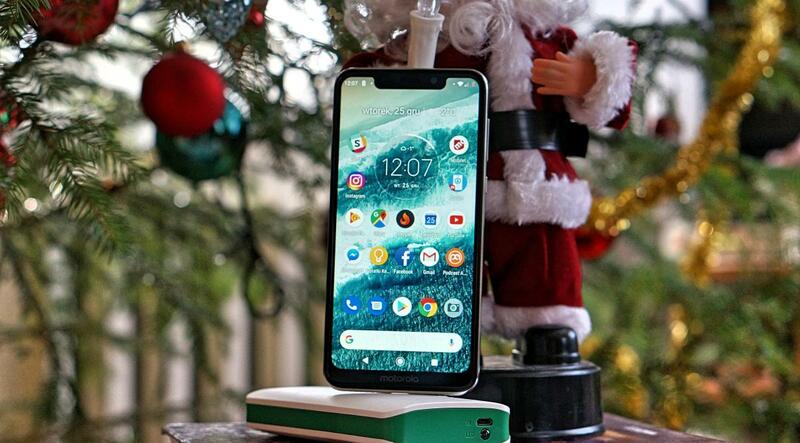 Motorola One is a very good phone, at its price, but the profitability of its purchase is not the highest.